According to Japanese publication Famitsu, Sony has halted shipments of the PlayStation 2 in Japan this week, leaving local retailers with their final quantities of the iconic console. It's unclear whether Sony has immediate plans to stop shipments in other regions as well, though some believe the system will continue to be readily available in many developing countries where the machine remains popular for its affordability and library. 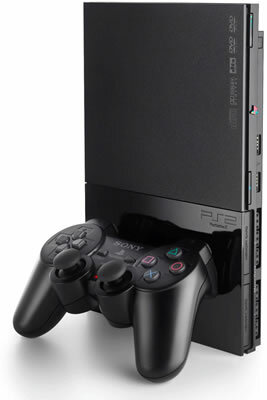 Launched to great fanfare in March 2000, the PlayStation 2 was at least partially responsible for killing Sega's Dreamcast and popularizing the DVD format. With two major revisions and more than a dozen minor ones, the console has shipped over 155 million units worldwide as of March 2012, making it the all-time best-selling console (excluding handhelds), topping the original PlayStation's 102 million sales and the Wii's 97 million. Despite its age, it was still bought by more than a million people over the last year -- particularly across developing areas such as India and Brazil, the latter of which only received the system in 2009. It ranked as the world's most-played console as recently as 2008 according to Nielsen and developers continue to support the archaic machine with fresh ports, with this year's releases including MLB 2K12, FIFA 13 and PES 2013. Besides the fact that the PlayStation 2 is practically prehistoric (it hit shelves when the N64 was still Nintendo's flagship offering), it's not too surprising to see Sony adjusting its lineup. The company is undergoing major restructuring in an effort to regain profitability and it's expected to unveil the PlayStation 4 next year, so we assume it would want to reposition the PS3 as its second-string player and officially bench the PS2.